Frank & Louis Graziano immigrated to America in search of a better life. Calabrese immigrants Frank and Louis Graziano, founders of Graziano Brothers, Inc., never knew the impact they would have on their families and the community when they were young boys in a small Italian village. Born in San Morello, a small community in the Calabria region of Italy, the two brothers began their lives in loving, but impoverished circumstances, typical of many families in the 1880’s. In 1903, Frank and Louis did what many Italians dreamed to do: they immigrated to America in search of a better life. Frank was a young man of 21 while Louis was a mere 17. They were processed as millions were through the Ellis Island facility. Eventually they found their way to Des Moines, Iowa working for the great Western Railway. Railway work was very difficult but provided a means to live. 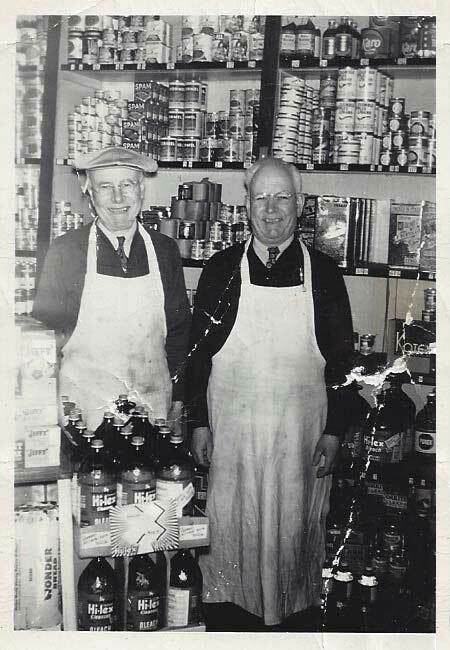 Eventually, it was decided that Louis would start a grocery business while Frank remained at the railway to support the two until the business was well on it’s feet. The store opened on South Union Street in an area that eventually became known as Little Italy. The year was 1912. Frank and Louis complemented each other beautifully as they worked together and no one can recall any arguments between the two. In their own way they must have loved one another very much. They were good people who fed many of the “paesani” during the Great Depression. They never had a unkind word for those, who for whatever reason, failed to pay. They were two honest men who were respected by everyone that came in contact with them. Though famously known for their sausage, only a few fans realize the store, housed in the original building on South Union Street, is still operating and stocking the city’s best inventory of all things Italian.